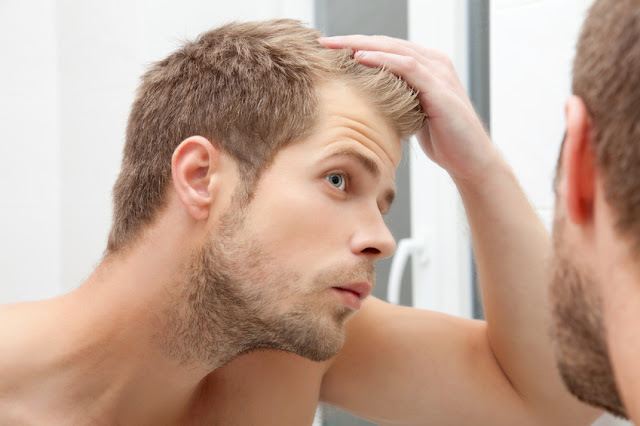 For most guys, hair loss really is one of the worst things you can go through, and so it is only natural to want to put a stop to the balding process as safely and effectively as possible. A fantastically thick shampoo with hair growth ingredients biotin and collagen. It's great for hair and works after just a couple of days using it. If you need to disguise or hide bald patches while you're growing your hair out, then try hair building fibres. HairMaker is brilliant and masters an excellent cover-up. Sometimes the best solutions are the cheapest and right on your doorstep. Head & Shoulders Hair Endurance adds thickness and strength to the hair. It's well documented on here how incredibly effective HR23+ has been for hair loss. This herbal supplement has prevented hair loss and helped maintain healthy hair growth in men and women. Another excellent shampoo that can be used every other day in conjunction with Head & Shoulders Hair Endurance. Argan is the fastest growing shampoo in popularity. Try it! HR23+ Scalp Therapy Serum is one of the best topical treatments for thinning hair. It's non-greasy and it works particularly well with HR23+ supplement. Not as good as HR23+, but Viviscal is a decent hair health supplement, nevertheless. We would still recommend it for men suffering from early stages of hair loss. 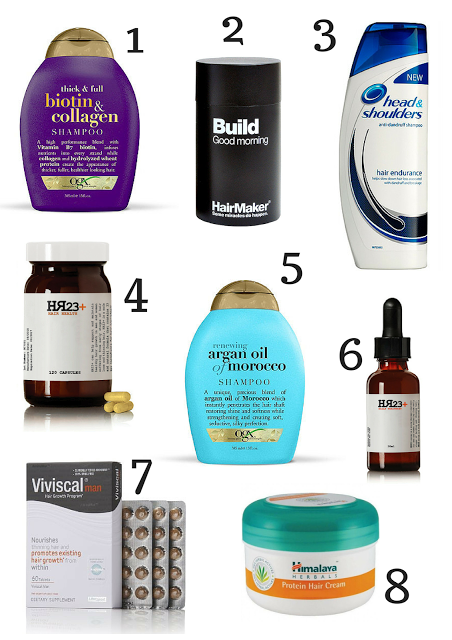 You can never add too much protein to your hair, so if you can get your hands on a good biotin based hair cream, seriously, do it. It's an excellent addition to your treatment routine, that'll keep your hair fully fed with key hair beneficiary additives.